NASA released a plan the other day to build a manned space station orbiting the moon. I’ve already seen a lot of talk about how bad a plan it is. And it is a pretty poor plan – but not for the reasons everyone says. A lunar orbiting base isn’t stupid in and of itself. It’s only a bad idea because of how NASA’s doing it. The critics say that this won’t produce enough science. They have it exactly backwards. This station produces too much science – like everything else NASA does. Understand something important: NASA is really, really good at science. They do a lot of wonderful work. I have friends and family who do some of this work for NASA, and it’s brilliant. But NASA’s focus on science prevents the agency from focusing on what should be its primary mission: making access to space regular, easy, and cheap. The biggest cost contributor, launch costs, will already fall dramatically over the next ten years. The private space race and companies like Space-X, Virgin Galactic, and Blue Origin, are already winning that battle. Space-X’s rocket system is already far cheaper than competitors, and as they make it more and more reusable it will become even cheaper. But launch costs still won’t become “trivial.” As such, we’ll need to ensure that we’re using the mass we launch effectively. And the best way to do that – as I’ve noted before – is to build space infrastructure. That is what NASA’s primary mission should be. Private industry will likely redo everything NASA does on the infrastructure front – and do it better and cheaper. Eventually. But planting the seed of that infrastructure would have huge payoffs. One core piece of that infrastructure, as I’ve also discussed before, is that a system should be in place for earth-moon transit. And that system should largely consist of a ferry that travels only between two space stations – one in Earth orbit, and one in Lunar orbit. We already have a station in Earth orbit, so NASA’s new lunar orbit station could fulfill the role for the second part of that, right? They need to be good transfer points to move people, cargo, or better yet, a space equivalent of standard shipping containers from one vehicle to another. They need to be good supply depots, storing air, water, food, and most importantly fuel. Basically, we need two giant truck stops in the sky. The ISS is horrible at both of these tasks. It wasn’t built for it – because it was built to do science. And NASA’s new lunar orbit station looks poised to be built for science, also. As others have complained, there’s not enough science it could do to justify the cost. But if we built it to support infrastructure, then the future science done – not by it, but by those who use it as a layover – could more than justify the cost. Alas, NASA is too good at science to follow the better path. There is a principle of force that I teach my students. It’s very simple to grasp, but the implications often take a while to sink in. If I apply a given amount of force over a small area, I create more pressure than if I apply the same amount of force over a large area. This is easily expressed in a simple and common law of physics: Pressure = Force / Area (P = F / A). For those who don’t like formulas, a simple example can help. If I apply a 100 pounds of force over an area of 100 square inches, I’ve applied a pressure of 1 PSI (pound per square inch). If I instead apply that same 100 pounds of force over one square inch, I’ve applied a pressure of 100 PSI. Even if we don’t do the math for every application of force, the inherent relationship is intuitive. Even small children follow it easily when I explain it to them. And some applications of it are equally simple. When we strike, we want to make our strike contact point as small as possible. Every karateka knows to hit with the two big knuckles when you punch. It does more damage that way. On the flip side, every judoka knows to splay out as much as you can when you breakfall. It spreads the force out and does less damage to your body. These two very different scenarios are simple applications of the same core principle. But the principle isn’t just physical in nature. It also applies in warfare. Concentrate your forces and hit your enemy in one spot. It’s much harder for him to defend against you that way. It also applies in social situations. Put a lot of pressure on the weak link of a group and the whole group finds it harder to defend. Or apply it to an individual emotionally. 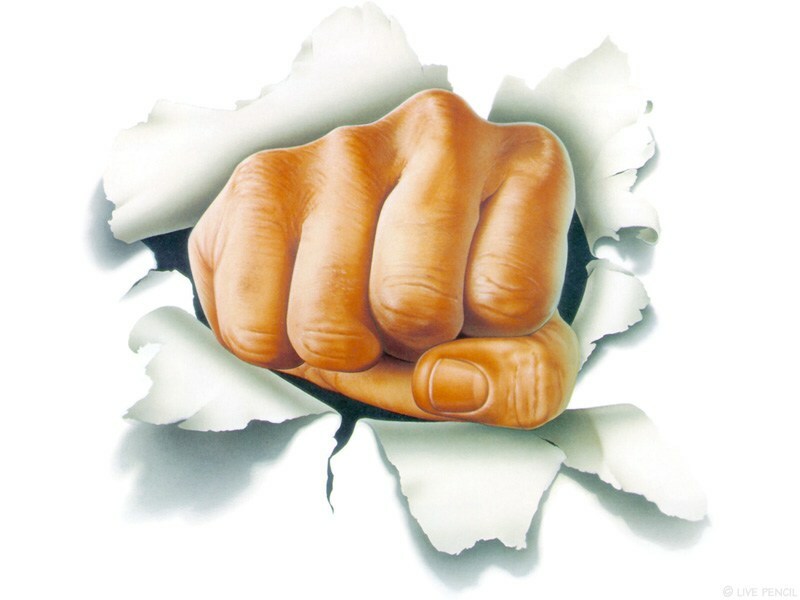 Pick at someone’s sore spot and they’ll break far faster than if you pick at everything. This is an absolutely fundamental principle of the martial arts. Every student of combat must learn it. But it’s also an absolutely fundamental principle of human dynamics in general. Fail to understand it at your own peril. CNN tells us tonight that Russia has recently tested an anti-satellite weapon. The US tracked the weapon and it did not create debris, indicating it did not destroy a target, the source said. The Russian test, coming as President-elect Donald Trump prepares to enter the White House next month, could be seen as a provocative demonstration of Moscow’s capability in space. Russia has demonstrated the ability to launch anti-satellite weapons in the past, including its Nudol missile. Emphasis is mine, and not in the original article. 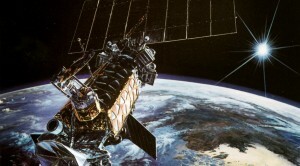 I remain suspicious that DMSP-13 was shot down by the Russians, although it is clearly unconfirmed at this point. Nevertheless, we know that Russia and China both badly want anti-satellite technology. They have invested quite a bit of money and time into various technologies for it. They know quite well that US space technology puts them at a huge strategic disadvantage. Both nations desperately want to eliminate that advantage if at all possible. CNN strongly implies that Putin used this test to demonstrate capability and intimidate the incoming President Elect. I remain convinced that Russia has done so before, more than once. I have zero doubt that they will do so again. What’s the right move for the US? Developing countermeasures is expensive and clunky, so that’s probably what we will do. What we should do is focus on lowering launch costs so that we can replace satellites so cheaply that destroying them is of little gain. The current “commercial space race” is already meeting success on that front. We should do all we can to speed the process. Of course, a little bit of space infrastructure wouldn’t hurt, either. Yesterday I discussed what superversive fiction is and briefly talked about the two anthologies of superversive science fiction and fantasy that I’ve published in the last two years. Today I’m pleased to announce that Silver Empire is now accepting submissions for our next superversive anthology. It should be a short story of roughly 3,000 to 15,000 words. These are loose guidelines. If the story is strong, we’ll accept stuff outside of it. And I’m not going to quibble over a few words if it’s 2,998 or 15,011 words or something like that. But that’s about the size we’re shooting for. It should be a science fiction or fantasy story. Submissions are due by April 30th, 2017. The anthology is deliberately superversive. Thus, we’re looking for serious submissions. Satire and Parody are ok *IF* they take the theme seriously. 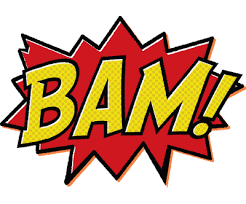 The superheroes should be heroic – or if they aren’t, the story should showcase this as a failing. No “Captain America was actually Hydra all along” stories will be accepted. You must have the rights to the characters you use and be able to legally transfer them to us for the purposes of this anthology. Unless by some miracle you actually are DC or Marvel and want to let us use your characters, we can’t use them. Trust me – we want to use them as badly as you do. This is just how the world works. Payment will be in royalties – no advances. The royalty rates will be relatively high, but our sales volumes will likely be relatively low. Exact rates will depend on how many stories end up in the anthology but will follow a simple formula based on word count (50% of sales sent to authors, prorated to each author based on the word count of the story compared to the word count of the anthology as a whole). Stories that are part of a larger world or series that you’re developing are perfectly fine – even if previous or later stories are not published through us. Submissions should be in Word format (doc or docx is fine). Submissions can be e-mailed to submissions@silverempire.org. One issue that is almost universally ignored in science fiction these days is the role of orbital mechanics in space combat tactics. Science fiction space combat tends to be written or visualized as if the spacecraft involved have nearly infinite energy and thrust available. Occasionally this is due to the writers or visual effects technicians consciously simplifying things for viewers. Unfortunately, however, most of the time it’s simply due to the writers being woefully ignorant of the subject. In Part 1 we showed that any reasonable account of space combat in near-to-medium-future hard sci-fi must account for orbital mechanics. In Part 2 we discussed that pros and cons of higher orbits and lower orbits. In Part 3 we examined cases where our two spacecraft occupied dissimilar orbits. In our final part, we’ll discuss various considerations related to actual maneuvering between orbits. As we noted back in part 1, the fundamental reason that we must consider orbital mechanics is the massive energy requirements necessary for raw point-to-point travel in space. Current technology and technology that can be extrapolated from known and proven physics are not capable of breaking past these limits. This same factor imposes limits on orbital maneuvering. There are three fundamental factors that will drive maneuvering of combat spacecraft: mass, thrust, and fuel. All three of these factors are intrinsically related. More fuel means more mass. More mass requires more thrust to move it. More thrust requires more fuel. At the same time, there are unavoidable trade-offs in modern propulsion technology. To put it bluntly, the more efficient a propulsion method is, the less thrust it produces. Solar sails and ion drives are highly efficient, but they produce low thrust. This makes them possibly great for long distance travel but very poor choices for the quick maneuvering desired by military vessels. It seems likely that military craft will mostly rely on such non-chemical propulsion for major drive components (ie, for interplanetary travel). Nuclear power seems a particularly likely choice, just as it is on today’s major naval vessels – and for the same reasons. Nuclear power is very efficient, providing quite a bit of energy for a given fuel mass. Unlike many other propulsion sources, however, it can also provide high thrust. This allows for relatively short transit times, such as military vessels will require. However, even nuclear propulsion is likely to be poorly suited for fast maneuvers. It is highly likely that chemical rockets will be used for maneuvering thrusters. Based on known technology and physics, quick maneuvering is likely to stay the domain of chemical rockets for some time – and chemical rockets require lots of fuel. Lots of fuel means lots of mass. It also means that the spacecraft must be very careful in how that fuel is used, because once it’s gone it’s gone. A further consideration is that large drive engines also have great potential to be used as weapons – especially nuclear propulsion engines. This was the second reason that the battleships described in “The Fourth Fleet” had main drive engines both fore and aft. This allowed the ships to use them not just for propulsion but also as the main weapon system. An important consideration, however, is that use of this weapon system will also impact the navigation of the vessel itself. It is also worthy of note that the design choices described herein will be hugely expensive, thus likely limiting this kind of vessel only to major spacefaring powers. As with modern navies, lesser powers will be forced by economics to limit themselves to less expensive military spacecraft. And also much like the world of today, these vessels are extremely unlikely to be common among private owners. In Part 1 we showed that we must account for orbital mechanics. In Part 2 we discussed orbits of differing altitude and velocity. In Part 3 we’ve discussed retrograde orbits and non-aligned orbits. Here in Part 4 we discussed maneuvering itself in more detail and also discussed some ways in which this will impact spacecraft design. This series is the beginning of the discussion, not the end. Any discussion that takes place before such warfare is necessarily speculative. Yet we already know many factors that must effect the discussion. Though this discussion will continue for decades and centuries after space warfare becomes common, we are well served by beginning it now. In Part 1 we showed that any reasonable account of space combat in near-to-medium-future hard sci-fi must account for orbital mechanics. In Part 2 we discussed that pros and cons of higher orbits and lower orbits. However, we assumed that both spacecraft occupied the same orbital plane and that they were both orbiting in the same direction. What happens if we change these assumptions? The first obvious choice is to consider two spacecraft orbiting in opposite directions but in the same plane (aka a retrograde orbit). Assuming that the two spacecraft are orbiting at the same altitude (and hence the same velocity), these spacecraft will only encounter each other twice on each orbit, and then only briefly. Let’s consider for a moment two spacecraft occupying a Low Earth Orbit – say around 250 miles (such as the International Space Station). Such an orbit makes a full cycle every 92 minutes, which means that the two spacecraft would only be able to engage each other once every 46 minutes. The duration of the engagement would depend upon the range of each vessel’s weaponry. It should be readily apparent that long range weapons are of great advantage in almost all space encounters. They clearly show their advantage here. In this particular scenario, weapons with a high burst rate but a long down time become tactically useful. For example, an energy weapon that requires a long time to charge but packs a major punch when fired might actually be practical in this case – provided it can be charged in less time than it takes to encounter the adversary again. Likewise, shielding that holds up well to burst fire but doesn’t do well under sustained bombardment would be very useful here. The real world offers scant examples of this, but science fiction is littered with various energy shields that exhibit this exact characteristic. Just like our hypothetical energy weapon above, these shields could recharge in between engagements and provide protection. A military ship equipped with these kinds of weaponry, then, might deliberately choose to enter a retrograde orbit relative to its opponent. On the other hand, a vessel with poor burst capability but built to take a beating might prefer to match orbits and slug it out. Alternatively, our spacecraft might choose to enter an orbit with an entirely different angle of declination compared to our opponent. 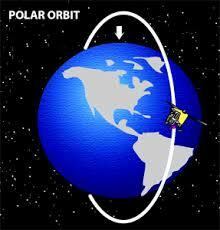 The extreme example would be to have one craft in a polar orbit while the other vessel occupies an equatorial orbit. In this case, the orbits would be angled at 90 degrees to one another. It is critical to observe that even though the orbits intersect each other twice on every pass, due to orbital timing the spacecraft themselves might never actually encounter each other on these orbits. This is true whether the relative angle is 90 degrees or 1 degree. This kind of configuration would favor a spacecraft that has both plenty of fuel for maneuvering and a very advanced navigational computer. Very careful maneuvering – consisting of burns to speed up and slow down ones orbit (and by consequence, raise and lower the orbit) could precisely control the timing of the orbital intersections. Depending upon the goals of the maneuvering craft, this could be used to either ensure that the two craft do meet or to ensure that they don’t. Of course, if the adversary also has high maneuvering capability and desires the opposite goal then the game is now on to see which captain can outsmart the other! This kind of scenario absolutely requires a strong navigation computer. What you will not see here is the typical Hollywood scene of a captain standing on the bridge ordering a maneuvering burn “now!” Instead, humans would instruct the computer on the desired goals and the computer would control the timing of the burns. Human beings would not be able to manually control the burns so as to achieve such delicate timing. Finally, we must also consider highly elliptical orbits. Like angled orbits, elliptical orbits alter the timing and locations when two spacecraft would actually encounter one another. The timings and breakdowns become very complex. Are both orbits elliptical or is one circular? Are the two elliptical orbits aligned or are they angled with each other? Or are they in the same plane, but skewed? The possibilities quickly become very complex, but the considerations are essentially the same as discussed above with orbits of differing angles. Once more, an advanced navigation computer becomes essential to even have a prayer of tactically controlling the encounter. In Part 1 we showed that we must account for orbital mechanics. In Part 2 we discussed orbits of differing altitude and velocity. Here in Part 3 we’ve discussed retrograde orbits and non-aligned orbits. In Part 4 we’ll discuss maneuvering itself in more detail. 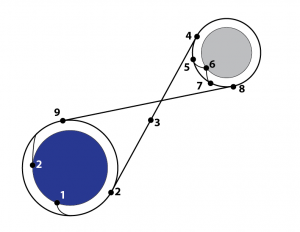 We left Part 1 with a discussion of the lunar transit orbit shown in Figure 1. Specifically, we showed that we must account for orbital mechanics. Here in Part 2 we will examine specific orbital decisions and how they effect our space combat tactics. Transit Speed is our baseline. A spacecraft traveling through this orbit at Transit Speed will, left alone, continue into a “figure eight” orbit. A civilian spacecraft traveling an energy efficient path might adopt something like this approach. Depending on the goals of the civilian craft, it would most likely follow the standard Apollo model described in Part 1 and execute a burn somewhere around Point 4 to transition into a solid lunar orbit. Keep in mind that these positions are relative and in constant flux. An enemy spacecraft in lunar orbit could be at any point along that orbit. However, that position is eminently predictable for a non-maneuvering spacecraft. If we know its position at time t, we can calculate its position at time t + x. But predictable doesn’t mean convenient. It may well be that the timing of our own orbital insertion coincides with the enemy craft being positions near Points 5 and 7. In this case, our military craft would also have to execute a burn to insert itself into a true lunar orbit as well or else it would never actually encounter the enemy vessel. The timing of this burn carries a great deal of significance, however, and it’s greatly dependent upon our spacecraft’s velocity along the transit path through Point 3. At Transit Speed or above, we’ll have to execute a breaking burn to slow the craft down. At Low Speed, we’ll have to execute an acceleration burn to speed the craft up. Beyond that, however, is another consideration. Merely inserting ourselves into the same orbit as our adversary isn’t enough. This point is key: any two spacecraft traveling in the same orbit are necessarily traveling at the same velocity. If their velocities are not the same, their orbits will change. This is counter-intuitive to many, but it is a necessary mathematical consequence of orbital mechanics. The military consequence of this is that once two spacecraft are in the same orbit, their relative positions on that orbit will never change. Suppose for example that I insert myself into lunar orbit at Point 4. At the time I insert into orbit, my opponent is at Point 8. Unless one of us executes another maneuver, we will continue to orbit in that same relative position to each other – separated by more than a third of the circumference of the orbit – until our orbits decay. We will never encounter each other. There are two solutions to this problem. The first is to adjust our velocity during the transit through Point 3. Speeding up or slowing down here will adjust the timing of our arrival, and by timing it appropriately, we can then ensure that we enter orbit close enough to our adversary to engage. The downside to this approach is that our opponent will see us coming and has a chance to adjust his own orbit to throw our timing off. The other option is to enter a higher or lower orbit than our adversary. Here, we face another trade off that has tactical significance. Just like a modern air battle, we will find that altitude and speed are our friends. All else being equal, a higher altitude orbit is better. Likewise, all else being equal a faster orbit is better. Unfortunately, all else is not equal and we can’t have both. The mathematics of orbital mechanics is a brutal dictator that we cannot escape. The catch is that absolute velocity and relative speed of motion are not the same things in orbit. If I move into a lower orbit, my absolute velocity will be increased. This is necessary to offset the higher force of gravity at the lower altitude. I will actually complete an orbit in less time than my higher orbiting adversary. The reason is apparent: even though I am actually traveling more slowly, the distance I must cover to complete an orbit is far less than that of a higher orbit. As an example, the International Space Station orbits in Low Earth Orbit (LEO) at roughly two hundred and fifty miles and completes an orbit in 92 minutes. By comparison, a geostationary satellite orbits at an altitude of roughly twenty-two thousand miles and completes one orbit in 24 hours. If I want to catch up to my adversary, then, one solution is to insert myself into a significantly lower orbit than him, come around behind him, and then raise back up into his orbit. This requires inserting myself at the correct orbit point, decelerating (perhaps substantially, depending upon my transit speed) to enter the low orbit, and then accelerating again at the correct time to enter his orbit. This maneuver has distinct advantages over simply re-timing my insertion into his own orbit. First, it’s less predictable. That means that our adversary has a harder time responding to it. Second, it leaves us with more leeway to correct for any evasive maneuvers our opponent does do. Third, assuming that we’re orbiting in the same direction, it allows me to come up behind him. Yes, in space he can easily turn to face me without sacrificing his orbit. But that maneuver does actually sacrifice some maneuverability. This is one reason, among many, that the battleships I described in my story “The Fourth Fleet” had main drive engines on both the fore and the aft of the ship. In addition to being able to accelerate or decelerate without turning, the ships maintained an ability to change to either a higher or a lower orbit without turning. Designing a craft this way would be hugely expensive, much like today’s supercarriers, but it would have huge military advantages. The final maneuver that we could attempt would be to insert myself into a higher orbit than my adversary and let him catch up to us. Then we could descend into his orbit to engage. With a typical ship configuration, however, this could mean letting him approach our rear or sacrificing orbital maneuverability. However, the configuration I just described above could easily handle this without such a sacrifice. In a situation where, say, I was inserting myself into orbit at Point 4 while my opponent was at Point 5, this might allow me to engage him much faster than otherwise. This puts my opponent is a position of having a higher apparent relative speed, but it leaves me in a higher altitude orbit and with a higher actual velocity, both of which might be advantageous if used properly. One way that a higher orbit is tactically advantageous is that projectile or missile weapons don’t have to accelerate to reach our opponent – instead they would decelerate, and correct timing might mean that they don’t even have to do that. Kinetic weapons (bullets, shells, railguns, etc) might especially benefit from this, as the higher absolute velocity of a higher orbit would impart a higher raw kinetic energy into our projectile. Meanwhile, these same factors would work against our opponent, reducing the kinetic energy of his projectile weapons and requiring extra acceleration for them to even reach our orbital altitude. As noted above, the exact way in which these factors trade off tactically is dependent upon the design of both our own spacecraft and our adversary’s. In some ways, we can design the craft to neutralize disadvantages of one position or another (energy weapons, such as lasers, would not suffer from the kinetic energy or acceleration problems imposed by a lower orbit). We can also design our spacecraft to amplify the benefits of one position or another (heavy use of railguns, for instance, could capitalize the benefits of a ship designed to operate at a higher orbit), although we must keep in mind that this would also have the effect of amplifying the drawbacks of poor positioning. In Part 1, we spelled out why we must account for orbital mechanics in space combat tactics. Here in Part 2, we saw how decisions of particular orbits have a large effect on those tactics. In Part 3 we’ll examine some alternative orbits and see how those can drastically alter the tactical situation. There are a few cases where orbital mechanics can be safely ignored. Obviously, they can be ignored for atmospheric combat. Modern science fiction fans are intuitively familiar with atmospheric combat thanks to watching hours worth of dogfights in film and television. Although many of the details would make a hardened fighter pilot squirm, our intuitions of the basic physics of how these fights occur more or less conforms to reality. They can also be safely ignored when we’re discussing ships traveling in interstellar space (although there are other issues there, mainly the massive velocities of the spacecraft themselves). And in some cases of two “mother ships” occupying very near orbits, we can handwave away orbital mechanics if the fight is focused on “fighter ships” surrounding them. The mechanics still don’t go away, but for the purposes of entertainment we can safely pretend that they do. Otherwise, orbital mechanics are crucial to space combat tactics. The definitive primer on orbital mechanics for science fiction writers is Ken Burnside’s magnificent essay “The Hot Equations.” Anybody looking to study the matter seriously should start there. Rather than retread ground he has already covered, my intention is to break new ground and discuss some of the implications of the physics discussed by Mr. Burnside. My endeavor here will be far more modest in scope than Mr. Burnside’s. I wish to discuss merely one element of an entire tactical encounter: orbital insertion. Mr. Burnside has already lain much of the groundwork that we’ll need. Rather than walk through all of his logic, I wish to begin merely by recapping some of his relevant conclusions. Change in velocity (delta-V) is a finite resource, and it’s of huge importance militarily. Hiding a spacecraft (stealth technology in space) is essentially impossible because of the heat generated by the thing (even under minimal power) compared to the unrelenting background cold of space. Because that heat is detectable as infrared light, range of detection is limited really only by the strength of the sensors. In other words, sufficient sensors can detect a spacecraft at a range close enough to infinity as to not matter, militarily speaking. Thrust is necessary to effect delta-V. In other words, if a spacecraft wishes to alter course, it must emit thrust of some kind. Thrust is detectable. If that spacecraft changes course, it can’t hide the fact from its adversaries. You can’t make a battleship look like a rowboat in space. The heat signatures will give away the game. Let’s begin by synthesizing these ideas together into their logical conclusions. Orbital mechanics require that course corrections (requiring detectable thrust) be made, very often at distances that are detectable in time for adversaries to effectively counter-maneuver. Let’s look at why this is. Figure 1 represents a lunar transfer orbit of the type used by the Apollo missions. Keep in mind that this is, in space terms, a small distance to travel. Nevertheless, it can illustrate many of our points quite nicely. 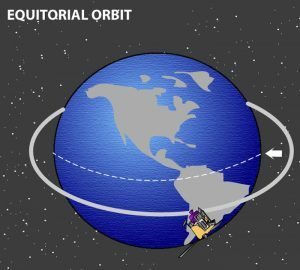 For those unfamiliar with the basics of orbital mechanics, here’s how it basically worked for Apollo. The circles represent the Earth (the larger circle in the lower left) and the moon (the smaller circle in the upper right). The Apollo spacecraft launched on board a giant Saturn V rocket from Point 1 and first entered into a Low Earth Orbit (LEO), represented by the circle around the Earth. At the appropriate time and place – Point 2 – the Apollo spacecraft executed another engine burn. Here on Earth, that would have been equivalent to simply pointing the car in a given direction and then hitting the gas. The car goes straight until you hit something or run out of gas. Space is different. The spacecraft goes straight until either you hit something or some gravity source operates on it. In this case, the gravity source is the moon – and rather than going straight, the Apollo craft was now on a “figure eight” orbit that orbited both the Earth and the moon. 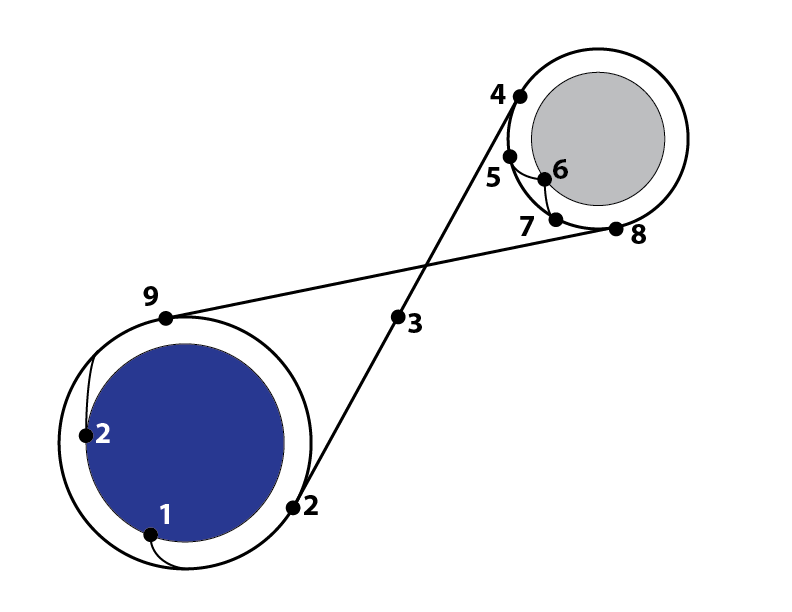 In Figure 1, that orbit would go from Point 2 to Point 4, around the moon to Point 8, then back to the Earth at Point 9 and around to Point 2 again. Assuming no orbital decay (which is a big assumption, and very likely incorrect) it would perform this orbit again and again and again. Apollo 13 actually did almost exactly that, performing only mild course correction burns, in order to get the astronauts home as quickly as possible after the spacecraft was damaged. But Apollo 13 wasn’t designed to do that. The intention was to do what Apollos 8, 10, and 11 had done, and what the later Apollo missions would do. In the successful missions, another “braking” burn was performed at Point 4 on the chart to slow the spacecraft down. Doing so altered the orbit, and transferred it into a pure lunar orbit – the circle you see around the moon. But without the burn, you get the figure eight orbit. Had the Apollo craft been traveling at different speeds, the results would have been radically different. Just a bit faster or slower, and the craft still would’ve traveled past the moon and swung around back toward Earth – but its aim would have been off. It would have missed the Earth, reached escape velocity again, and been slung off into interplanetary space. If it had gone a lot faster, it wouldn’t have even swung back toward Earth. Its path would have arced a bit, thanks to the moon’s gravity, and then it would have just kept going – once more headed for interplanetary space. Had it been going fast enough, the moon’s gravity would barely have even warped its trajectory. Very Low Speed – the spacecraft is unable to escape Earth orbit and never transits to the moon at all. Low Speed – the spacecraft does not have enough velocity to enter a full figure eight orbit, and will likely crash into the moon. Transit Speed – the spacecraft is paced exactly right for a figure-eight orbit. Very High Speed – the spacecraft will have its trajectory warped by the moon, but will continue beyond it rather than orbiting it at all. Ludicrous Speed – the moon’s gravity has an imperceptible effect on the spacecraft’s trajectory. For our purposes, we can ignore Very Low Speed, as it won’t even allow us to maneuver to fight an enemy spacecraft near the moon. We can also safely ignore Ludicrous Speed for all “hard” science fiction scenarios. Any technology that could be built on currently understood physics or engineering can neither accelerate to Ludicrous Speed nor decelerate from it in anything we would consider a reasonable, militarily significant time. From a military standpoint in a reasonable hard sci-fi scenario, we must therefore assume a spacecraft operating at Low Speed, Transit Speed, High Speed or Very High Speed. We must also assume that the craft will ultimately need to either a) match orbit with an enemy spacecraft in order to fight it, b) make a flyby close enough to launch a barrage at the enemy, or c) enter an eccentric orbit designed to close with the enemy more than once for repeated barrages. In nearly all cases, this will require our hero spacecraft to make further burns and expend delta-V. The speed at which the craft makes the transit and its decisions of when, where and how quickly to expend delta-V has massive tactical implications. Writers of hard science fiction – and potential future space combat officers – would do well to keep these in mind. In part 2 we will begin to examine the ramifications of these decisions. 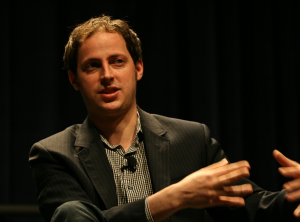 Nate Silver first made a name for himself by using statistics to make sports predictions. But like most, I became aware of him after he accurately called 49 out of 50 states in the 2008 Presidential election. His fame rose when he called the 2012 election accurately as well, despite many on the right not quite having faith in his numbers. The core of his technique is nothing magical, although neither will I shortchange him by calling it “obvious” as so many people are wont to do after somebody clever does something new. It’s obvious in hindsight; it wasn’t so obvious before he did it. He’s published a general outline of his methodology after every Presidential election, and you don’t have to be an actual statistician to follow what he’s doing. You do, however, need to have a basic understanding of the underlying statistical methodology. Any undergraduate stats course should let you follow along – conceptually, at least, if not in the details. Before I dive into my main point, let me emphasize that Mr. Silver’s methodology will work brilliantly the vast majority of the time. His methodology is just about as truly data driven as it’s possible to be. He uses the best data that’s out there. And given his reputation, he can now get access to that data easily. He also uses standard and sound statistical methods. However, the day will eventually come when Nate Silver will fail – and when it does, he will fail big. To understand why, we first need to have a basic understanding of his methods. A decade or two ago, somebody had the keen insight that although any individual poll taken during an election season had to be taken with a huge grain of salt, if you average all the polls together you end up with numbers that are pretty reliable. I’m not sure who had the eureka moment first, but Real Clear Politics popularized the concept with their RCP poll average in the early 2000s and it’s been a staple of politics ever since. Mr. Silver took the concept even further and improved upon it in several ways. First, he realized that in Presidential politics it was the state polls that mattered – not the national polls. So he computed polling averages for each individual state. Second, he did historical analysis of each polling company and concluded that some were more reliable than others. He quantified this using standard statistical techniques, and then adjusted his averages by weighting each poll according to its historical reliability. This alone is a big improvement to the RCP model, and its validity shouldn’t be discounted. Third, he added other factors into his model: the general state of the economy and how it favors the incumbent; endorsements; experience of the candidate; and several other factors. The predictive value of these factors is less, so they’re weighted less in his model – but their value counted. Fourth, he improved the whole thing by running Monte Carlo simulations. This is also a giant improvement over the RCP average. Basically, it works like this: you write a simple computer program that takes the poll numbers given and, using the model you’ve devised (in this case, points 1 through 3 above) you simulate a given election. With the polls, endorsements, etc as given, you also account for some randomness in the actual results. To do this, you account for the historical error of the polls – if a candidate is polling at, say, 45% then history might suggest that his actual vote could be anywhere from 40% to 50%, and you can compute a probability curve that matches that range. Then you run this simulation – a lot. Thousands of times or tens of thousands of times. Let’s say you run it ten thousand times, and out of those ten thousand times, Candidate A wins the election five thousand times: exactly half. You then say that candidate has a 50% chance of winning the election. The methodology is pretty sound. But it has some serious flaws, and because of these, eventually Nate Silver will fail. Here are the problems. First, the model requires that the input polling data be good. If the polls aren’t good, then Silver’s model isn’t any good either. Note that it doesn’t require any individual poll to be perfect. But it does require a few things. Each poll should be generally within or close to it’s historical margin of error. The polls should be canceling out each others’ errors. In other words, if one poll gets Candidate A’s share of the vote too high, the competitor’s poll should get it too low. If both polls are wrong in the same direction then averaging them doesn’t help. There is strong evidence – even documented by Silver himself – that the polls are getting worse. Indeed, the polling companies are having so much trouble that Gallup has stopped polling the Presidential races altogether. There’s also evidence that the polls have started to weight their data so that they match more closely to other polls. That skews their value and makes them less reliable. So the polls themselves are a problem – and a growing one. Second, polling long before an election is hugely inaccurate. Accuracy increases greatly the closer a poll is taken to the actual election. This is why Mr. Silver’s 2008 and 2012 predictions weren’t magic: the “predictions” relied on polls taken within days of the election. With respect to Mr. Silver, this accomplishment isn’t as big as many made it out to be. At that point, the polls are generally pretty accurate. His achievement was simply to look at the right polls. To be fair to Mr. Silver, he’s quite aware of this problem and has discussed it at some length. He refrains from even making predictions before certain points in the campaign, and he’s the first to tell you that they’re of little value even when he begins them. However, having his predictions become accurate only days or a very few weeks before the actual election robs them of much of the value of a prediction. It doesn’t make them worthless, mind you, just of small utility for most of us. But the real problem isn’t even those issues, as bad as they might be. The real problem is that the map is not the territory. Mr. Silver has constructed a wonderful model of elections. But it’s just that: a model. It is not the reality. The biggest area where this will eventually bite him is in the non-polling factors that he includes. For instance, months ago Mr. Silver was claiming that Donald Trump’s low favorability ratings put a cap on the support he’d manage to get at the polls. He made the claim in several places, but this piece from July 2015 is the one I managed to find with a few seconds of Googling. In it he claims that candidates with Trump’s net favorability ratings rarely grow beyond 20 or 30% of the vote. As of this writing, the RCP average has Trump at 29% in Iowa (about to break that ceiling), 32.2% in New Hampshire (broke the ceiling) and 34.8% nationally (shattered it). A poll released today shows that he’s nearing 50% in Florida. What happened? Trump’s favorability changed – a lot. Gallup last week showed him at +27% among Republicans, up 23 points from where Silver had him in the July piece listed above. That’s yuge. Again, as I noted above – the map is not the territory. Silver’s model, as good as it is, doesn’t account for this kind of thing to happen. Now, it’s easy to say, “let’s update the model to allow for the off chance of someone increasing his favorability.” Fine. But the underlying problem is that favorability doesn’t directly predict anything. It’s a proxy. Think of it this way: there’s no ironclad law of physics that says that a candidate with low favorability ratings can’t win. Mr. Silver has merely observed that so far, in the election’s we’ve seen, this hasn’t happened. It seems to have a strong correlation with the winner. But correlation does not equal causation. In this particular case, the variables are probably weakly linked. That is, how favorably the electorate views a candidate probably does have some impact on how they eventually vote. But it’s not a perfect match. Mr. Silver will readily admit this, and that’s why the value is weighted relatively small compared to other data. But the problem is that all of Mr. Silver’s data is intrinsically a proxy, including the actual polling data. How people say they’ll vote is not the same thing as how they’ll actually vote. The correlation is high, but it’s not a causation. Someday we’ll hit a point in the territory where the map doesn’t agree with it. For that case, we’ll have no choice but to conclude that the map is wrong. As they say in sports, there’s a reason they play the games. There’s good reason to suspect that this election cycle may be it. Mr. Silver has been giving Mr. Trump roughly 5% odds of winning the nomination, based mostly on his model. Personally, I think his model is wrong in this specific case. “This time is different” is called a lot and is rarely true. But… sometimes it’s true, this time really is different. By all outside appearances, this election certainly seems to be one of those cases. I believe that Mr. Silver has too much invested in his model for him to be able to step back and honestly admit that it may not cover this case. Again, to be fair to Mr. Silver, I don’t believe this is a conscious choice. But I think it’s real. But this may not be the time, either. It may well be that this time Mr. Silver is right again and I am wrong. I fully accept that, and I’ll admit it here if it’s the case. But even if this time isn’t the one, sooner or later Nate Silver will fail – and it will be yuge. So what, exactly is the difference? 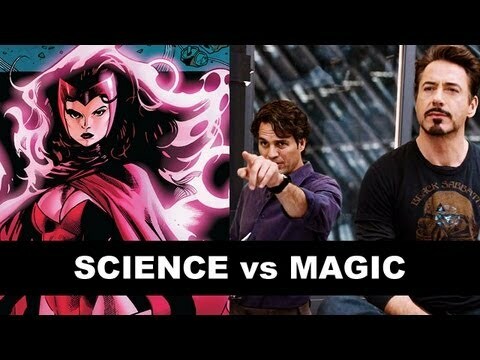 Here’s the way that I break it apart, and I think that almost all of us will find that these definitions work very well to explain the way that magic and science are viewed by the vast majority of the populace. Magic involves bending the universe to your will. Whatever system a story has in place explaining how their magic works, at the end of the day it either works or doesn’t work because the practitioner has sufficient will to make it work. The steps to cast a spell don’t work if you’re a muggle, or if you’re weak minded, or if your midichlorian count is too low. Or maybe you’re not focused enough. Or maybe the steps for magic to succeed are different for each practitioner, because the steps aren’t really what causes the effect – they just focus the practitioner’s will. Science involves finding out the rules of the universe as they are and following a series of steps that gives a particular set of results because it follows those rules. The steps are mechanical, and the result follows from a chain of cause and effect. The chain may be long and complex, but it will work every time, no matter who does it, and now matter how strong your will is. In a word, magic lacks replicability. Science has it in spades. And yet clearly these treatments work exceptionally well today, on a wide variety of ailments. Penicillin has truly brought on an age of medical miracles. But to these learned men of the future, the treatments we use with such great success now won’t work. On the flip side… what if the treatments of our ancestors, the remedies that we laugh at today, used to work? What if they used to be highly effective, but the world changed in some way that we’re not aware of? Clearly they don’t work now. The “science” is no longer replicable. OK, that’s a hypothetical (if an interesting one). And it’s easy to at least make the claim that these ancient remedies were never really science and are much better categorized as magic – and ineffective, at that. Maybe they never really did work at all. So let’s take a more concrete example. In the last few years there have been some shocking papers coming out of the scientific community showing that many landmark studies can’t be replicated. I’ve linked to a sample of these reports. There have been more. The common interpretation is that they never were replicable. Somebody found an outlier result, published it, and now we’re just discovering that these results were the outliers. The other common interpretation is that the researchers were corrupt or blinded by bias, and they found the results they wanted to find. To be perfectly fair, these interpretations are far and away the most likely. But what if these interpretations are both wrong? What if something is changing in the world, and our science lacks the replicability that we’ve always believed underpinned it? At certain extrema, we already know this to be true. The Heisenberg Uncertainty Principle tells us that we can’t measure sufficiently small subatomic particles without fundamentally changing them. And Einstein’s theory of General Relativity tells us that certain measurements change depending upon our frame of reference, especially at very high speeds. However, the conventional understanding holds that the Uncertainty Principle doesn’t apply at macroscopic levels and that Relativity’s effect is trivial at low percentages of the speed of light. But what if something else is going on, something that’s fundamentally changing the world around us and mucking with our concepts of replicability?